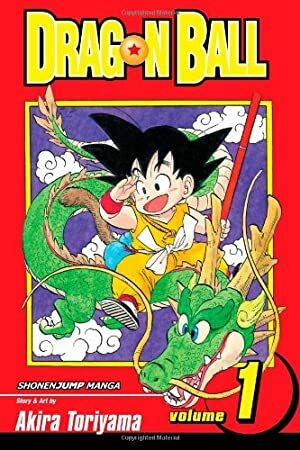 Dragonball manga and anime . This series, which started in 1984, was hugely successful and would come to define manga and/or anime for many kids outside of Japan. 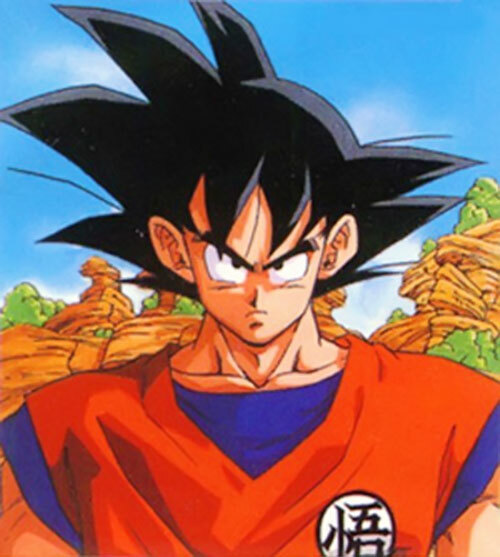 This old profile is preceded by a profile of similar age, depicting Songoku circa age 15. Unsurprisingly, we suggest reading the first one first. Main illustration by Patrikny93 . Real Name: Goku and Songoku are used indistinctly. Known Relatives: Songohan I (foster grandfather, deceased), Chichi (wife), Songohan II (son), Ox Satan (father in law), Radix (brother). Base Of Operations: Into the woods. Higher dexterity, strength and speed thanks to the training with heavy clothes. A better concentration (Power Reserve, Mind Over Matter). But will that be enough against an alien invasion ? After meeting Chaos and Ten Xin Han, young Songoku fought at the 22nd Tenkaichi Budoukai, the Great Martial Artist Tournament. He lost the final combat (but matched the fight) versus Ten Xin. On the following dinner to celebrate the combat, Krilin was killed by a green devil. It was a minion of Satanas Piccolo, Master of Devils that Kame Senin, his deceased master Mutaito and the now twisted Turi Senin fought 200 years before. Piccolo had been encased by a secret technique and now Pilaf had freed him. Songoku was also defeated by the minion. A wild huntsman named Yajirobai helped him to climb the Sacred Tower again. There, Songoku recovered and managed to drink True Sacred Water. But old Piccolo had found the 7 Dragon Balls and wished to be forever young again. When he had his wish accomplished, and thus recovered all his might, he killed the Dragon Sheron to prevent further wishes. Chaos, Krilin and the Kame Senin died while trying to reimprison the demon. Piccolo announced the world it was going to destroy every country that wouldn’t bow to his will. Songoku fought Piccolo and managed to destroy him with his last energies, but he couldn’t stop him from sending his son away inside an egg. Goku went to the Sacred Tower with his magic Nioibo staff. There, Karin told him to go even higher. How? The staff put in a hole of the roof of the Tower was the way to arrive to God’s Palace. There he met Mr. Popo and the Almighty, who was in fact the good half of Piccolo. As he hadn’t died it meant that Piccolo was somehow alive. Thus, Songoku remained on the Palace to train for the next Tenkaichi Budoukai, where Piccolo Jr. would fight. The Almighty also resurrected Sheron (and Chaos, Krilin and the Kame Senin) after Mr. Popo glued together the pieces of his statue. When the 23rd Tournament arrived, diminutive boy Songoku had turned into a tall, handsome young man. His increased level of concentration that allowed him to strike even invisible enemies, just by feeling their energy and forgetting what his senses told him. In a devastating final that destroyed the surface of whole Papaya Island he fought Piccolo Jr.… and won. But even against such a fearsome enemy, Goku couldn’t kill him (that would had, also, killed the Almighty). He helped him to recover, and Piccolo flew away. On that tournament Songoku also married with Xixi, the daughter of the giant Ox Satan. After the tournament there was a time of peace on Earth during which Songoku and Xixi rescued her father from the burning flames of Mount Satan. They had a son, who was given the name of Songoku’s foster grandfather: Songohan. Then a terrible alien menace arrived to Earth, then. First was Radix, Songoku’s brother,. He told Songoku that he was alien, from the Saiyan race. Goku had been meant to destroy or at least conquer the Earth, when he arrived to it as a baby. But after baby Songoku fell a cliff and bashed his head, the reuslting amnesia turned the Saiyan warrior into an innocent, nice boy. Radix defeated the combined forces of Goku and Piccolo Jr., and only through supreme sacrifice, grappling Radix while Piccolo blasted them two, they could win. Songoku could be resurrected with the Dragon Balls, but Radix’s friends, saiyans Vegeta and Nappa, were to arrive to the Earth in a year. Thus, Goku decided to train in the afterworlds. Not extremely muscular, but well built. Long black hair in impossible wild waves. Red kimono without sleeves, from the Kame Senin school, with blue shirt and bracelets and black boots. Innocent, playful, bold. Take Mazin’ man and mix him with Superman. Although the grief menaces Earth is starting to live and his responsibility towards Chichi and Songohan II are making him more mature than before. Anyway, his stay at the Afterworlds is going to show he’s still the great joker, playing around with gods and devils, much to their astonishment. Goku refused to be the Almighty’s successor. After his fight with Piccolo and the arrival of Radix there’s a blank space (partially covered by 1 or 2 of the OVAs) that allows for Dimensional travels of this Goku to the DC Universe. At his present stage, he would be a suitable JLA member, where he could perhaps fill a better “Dyonisus” slot than Plastic Man. He could also be a good ally for Superman and Superboy, or help Superman against the likes of Death-Rite, Mongul and, perhaps, dying at the hands of Doomsday (instead of Radix) instead or before Superman did. Adaptation works with combat techniques (+1). Awareness also works with non mystic, energy based threats (+1). Detect has the Discern Bonus (+1). Energy blast can be used to suffocate fires (+1). Power Reserve works with Superspeed, Energy Blast and Martial Artist (BC: +5, FC: +1). Superspeed: Allows for extra actions. Martial Artist bonus to Initiative is +1 for every 4 APs (1-4 = +1, 5-8: +2, 9-12 = +3, etc) (+1 FC or genre rule, as GM like). Adaptation doesn’t work with skills or natural powers (-1 each). Illusion and Invisibility only work when more than 6 APs of Superspeed are in effect (-1 each). Illusion only makes appear multiple images of him. He can make a number of images up to his APs of Illusion at the same time (-1). People with Superspeed/Running/Flight can try to spot him when invisible using their APs of movement as AV/RV vs Goku’s Superspeed/Invisibility as OV/RV (-1). Only 3 APs of Superspeed to make tasks faster or getting extra actions (-1). Regeneration: Deals only with bashing damage (-2). Buddy/Pet (Kinton Cloud), Iron Nerves, Lightning Reflexes, Luck, Omni- Connection (can’t mimic Powerful ones), Rich Friend (Bulma), Scholar (Survival). Baba the Seer (High), Goku’s gang (High), The Almighty (High), The Sacred Land (Upah, Borax & Karin) (High), West City King (Low). Dependant (Songohan II), Innocent, MIA (eating), SIA (a good fight), Attack Vulnerability (Fire, -2cs), Misc. Vulnerability: when hungry, he loses 5 APs of DEX, STR, WILL, physical powers, Power Reserve and all skills. 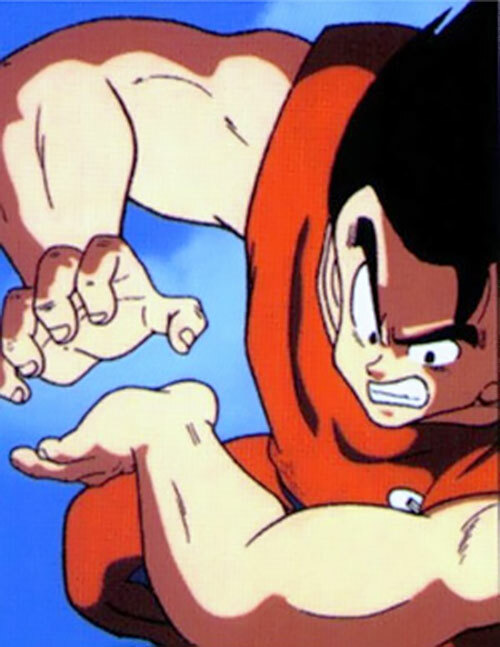 Air Walking and Energy Blast are also techniques, but Goku automatically succeeds on them, thus are treated like Powers. For those unfamiliar with the term, Combat techniques are much like Occult Rituals, but based on the Martial Artist skill. Magic Radar [BODY 04, Detect (Dragon Balls): 21, R#03, HP Cost: 78]. TRAINING CLOTHES [BODY 05. Their weight (around 500 lbs) lowers DEX, Acrobatics, Air Walking, Jumping, Martial Artist, Superspeed and Swimming by 2 APs, and neutralizes Lightning Reflexes, leaving him with an Initiative of 32]. Physical attacks don’t affect it – but if it suffers more than 10 RAP’s of physical damage at any time, it vanishes ’til it’s summoned again (+5). Dispersal is always on (-1). Dispersal doesn’t work with innocent or spiritually pure people, neither against energy attacks nor objects/walls (-1). Dimension Travel is only to appear where its master is (-0). Cling works on its user (-0). Flight only works in an atmosphere (-1). Doesn’t Age, Life Support [No need to Eat, Drink, Sleep, or Breath], Lightning Reflexes. Goku’s Gang as a Connection represents the following people: Bulma, Chichi, Yamcha, Krilin, Kame Senin and turtle, Ulong, Puar and Blanche (Blanche’s connection can never be higher than Low through this Group Connection). If the connection is High, you can consider to also have a Low connection to Iajirobai and the Tenkaichi Budoukai. 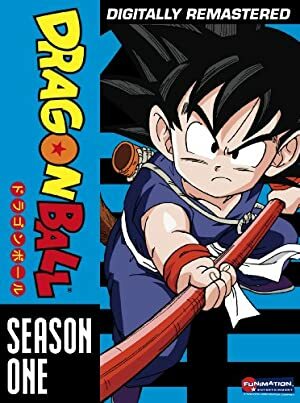 Source of Character: Dragon Ball and Dragon Ball Z manga and anime.